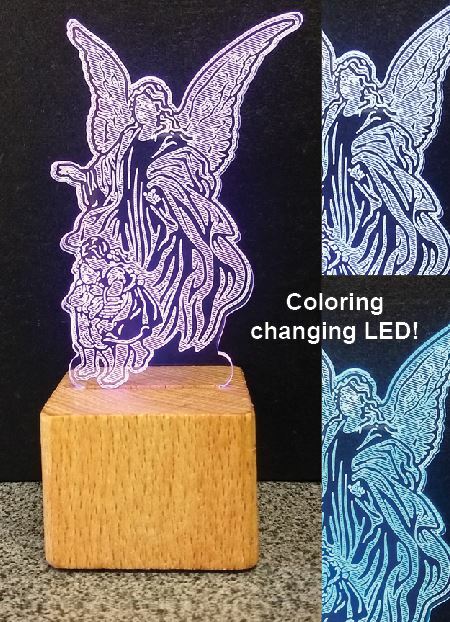 Using a changing six-color cycle to add a new dimension to night lights, these LED devotionals feature an easy on/off switch in the natural wood base. Low voltage 1.5V battery included. 5” tall.